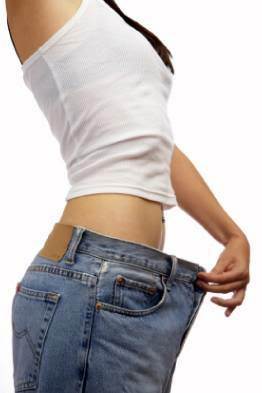 Healthy U-Akansha : Don't Wait to Loose Weight! See results in a week! Don't Wait to Loose Weight! See results in a week! 65-90%of your body is made up of water and there is a reason to that. A fruit smoothie, sports drink, beer, or any other drink can hydrate your body but they also contain 100 or more calories. Moreover these drinks do not satisfy you the way 100 cal of food does, so basically, they are waste. Also these drinks are also high in sodium and carbs which retain water, making you feel puffed out. Water on the other hand is zero in carbs, makes you feel full, hydrate you and detoxify your system. Also water is the most important item in fat mobilization and fat metabolism, i.e without water, fat will not get degraded no matter how much you run on the treadmill! And hey, if water is boring, add a slice of lemon sweet lime or orange. This can even be your evening tea snacks or your morning breakfast or dinner. Fruits contain more fibre( read fat killers), more water and more vitamins as compared to breads, rice etc. Instead of having that sandwich in the evening have an apple, or instead of having croissant jam and toast in breakfast, have a fruit plate and juice, or instead of having bread, veggies and sizzler at night, have a big bowl full of fruit/ sprouts and salads. The dinner switch is my personal favorite as the lighter you go on your stomach during the later part of the day, the more chances of you losing weight faster and better the chances of you getting up in the morning with a healthy glow! This is an exception to rule one. Coffee is said to have metabolism inducing power and also help you metabolize fat faster. But this coffee doesn't mean a big cuppa of cappuccino. Preferable that you have black coffee with very little or no sugar. If you must add milk, add skim milk to the tune of 3-4 tablespoon. Coffee also helps you jump-start your body and gives you the additional kick while working out so that you workout better and don't get fatigued soon. Word of caution- Do not go overboard with coffee, it also has dehydrating effects on your body. Make one food sacrifice. Simply by Cutting out one favorite sinful indulgence from your daily list of must haves can create wonders for you. Like stop eating chips or finger fries or chocolate, whichever is your must haves. Also if you succeed at this the first week, continue with one more food item the next week. This way you'll eliminate all your evils out slowly but surely, and boy will that work wonders! Yes there is no escape to workout, if you want a fit body. Do cardio once in 2 days atleast. Your body will love you if you do this everyday though. Cardio can be in any form- be it running for 20 minutes, brisk walk, jogging, climbing up and down the stairs instead of using the stairs, getting off the bus one stop earlier so that you get the extra mile to walk back home, skipping, or jumping...anything. But yes make that body work. Good advices. To lose weight and to maintain it requires permanent efforts. There is no magic tool that will give you good shape once and for all. Each recommendation, diet, workout or whatever has to be implemented regularly. Still, there are things which might help on your way. For me it is nutritional supplement Navy Seal Formula by MGNutritionals. When I need a kick, this staff works best. Just natural, pure energy. It improves my workouts and helps me keep fit.